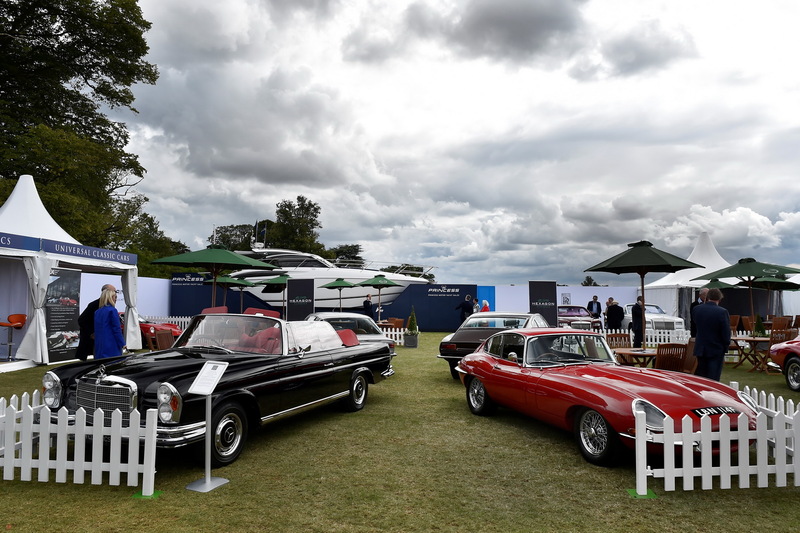 Being the last Concours d’Dlegance of the year, Salon Privé highlights motoring marvels days before their winter slumber. 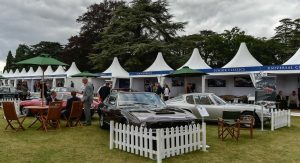 This year, the gathering took place – as always – at the Wold Heritage Site of Blenheim Palace in Woodstock, between 3rd and 5th of September. 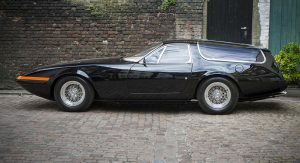 Salon Privé is a unique occurrence, combining modern supercars and concept-cars with rare, distinctive classics; but from the sea of gorgeous automobiles this beautiful Daytona shooting brake, with coachwork by Panther Westwinds, caught our attention. 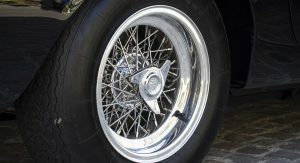 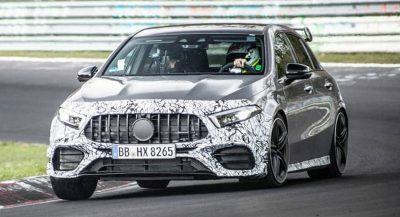 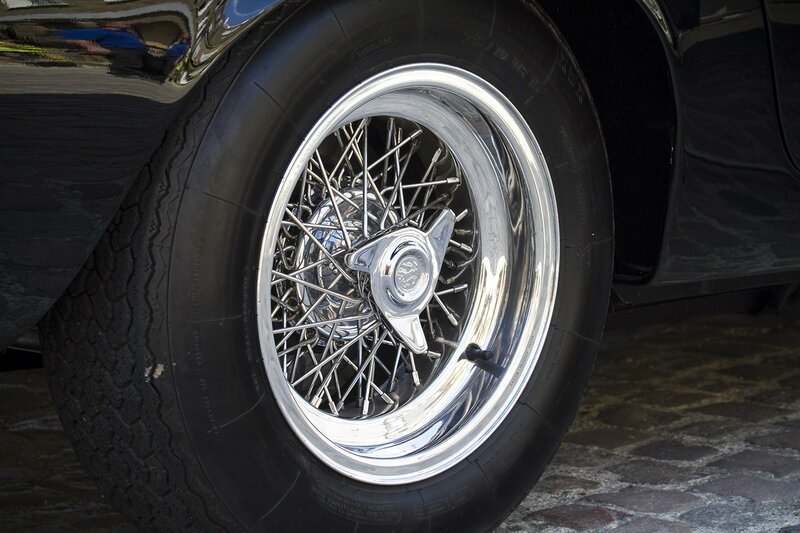 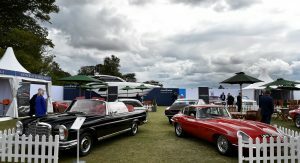 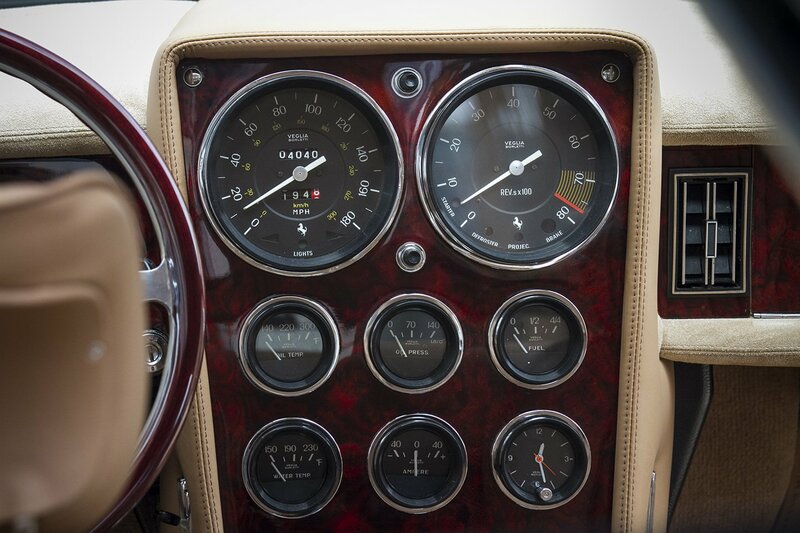 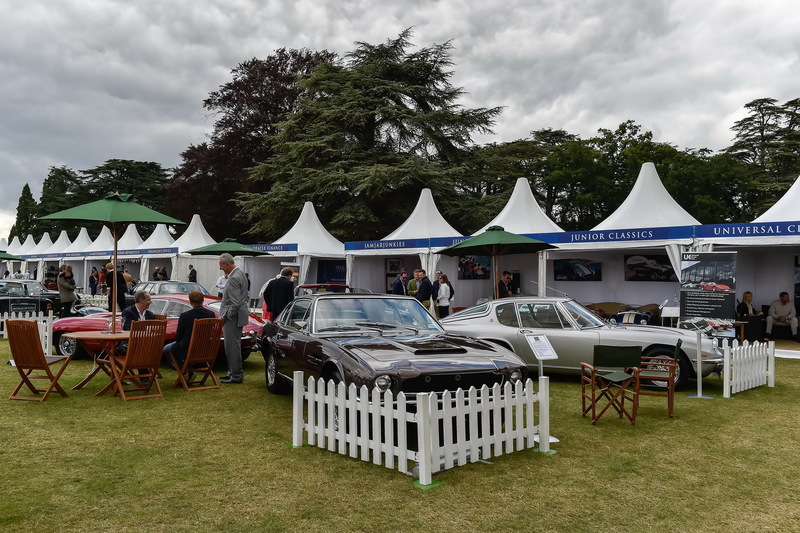 The car is part of the Hexagon Classics collection – for now – and headlined the London car dealer’s line-up of exquisite automobiles at the concours. 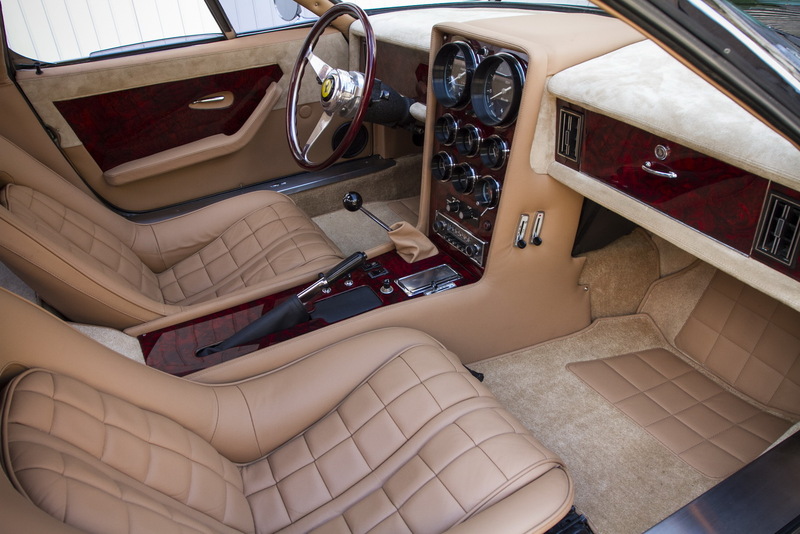 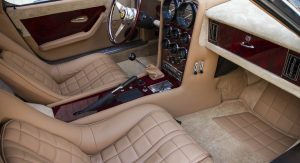 Originally crafted by Ferrari as a “standard” 365 GTB/4 Berlinetta for the U.S. (finished in Rosso Dino with a Nero leather interior), the car was the 805th Daytona built. 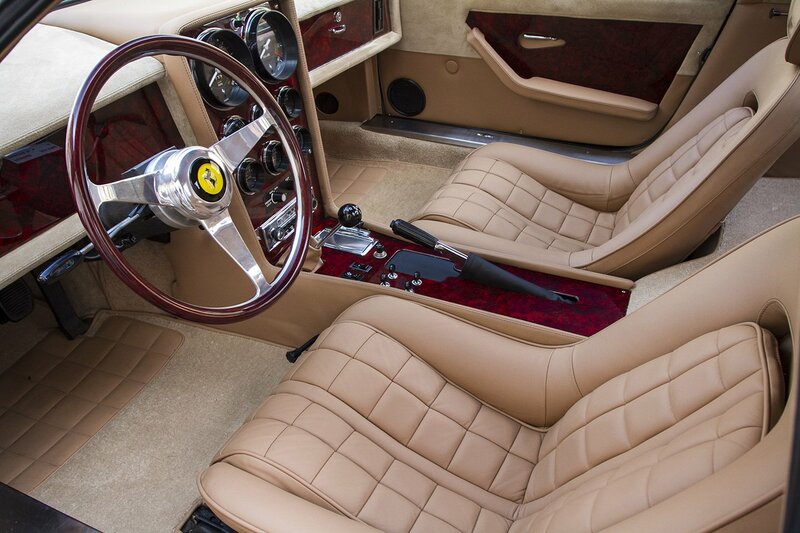 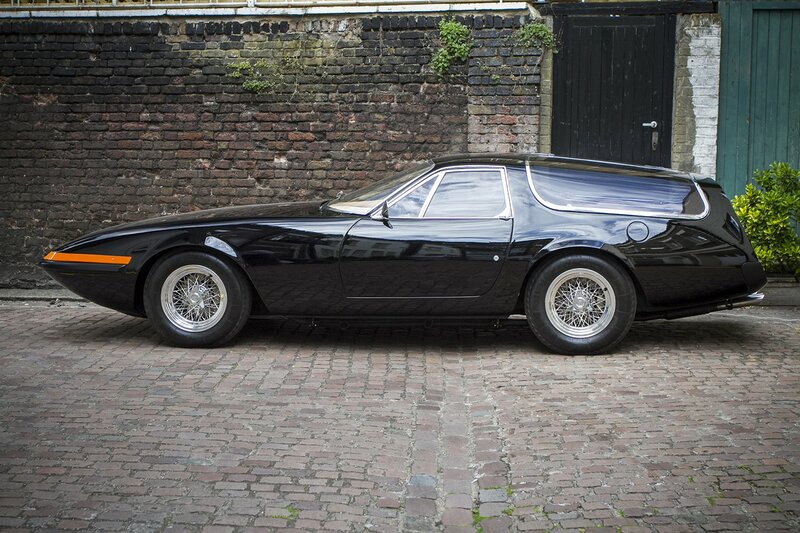 But the idea of it bearing a shooting brake body came in the 70s, when real-estate developer Bob Gittleman strolled into Chinetti Motors – the first Ferrari dealership in the country, owned by Luigi “Coco” Chinetti Jr. – and commissioned something…different. 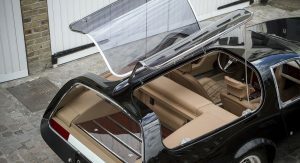 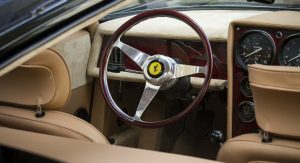 Chinetti Jr. was only happy to oblige, as he did with the 330 GT Vignale, so he teamed up with industrial designer Gene Garfinkle and designed the car. 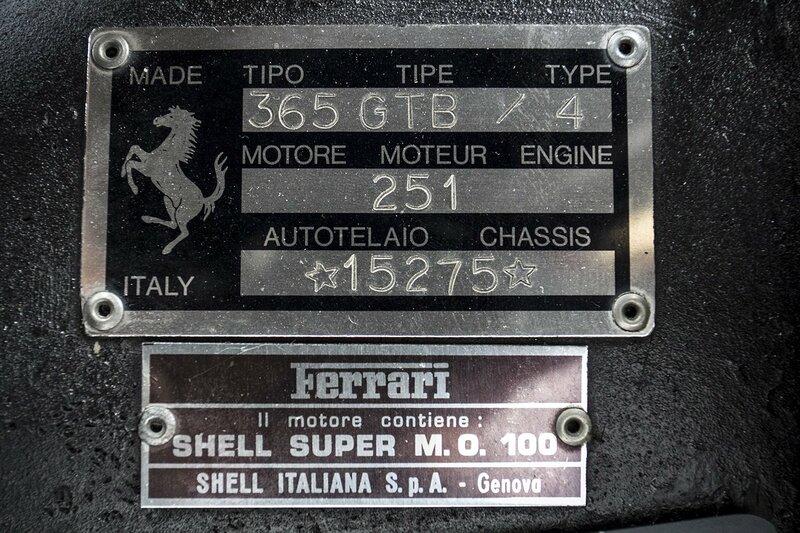 As you may imagine, the rest is history. 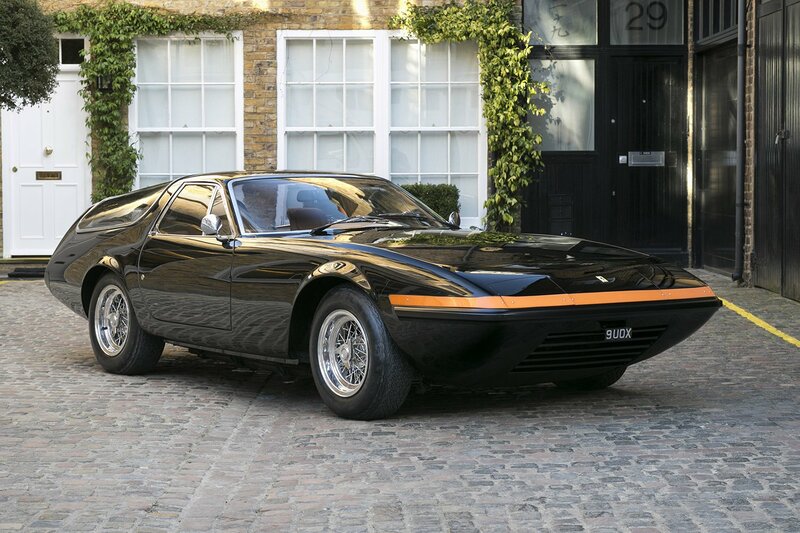 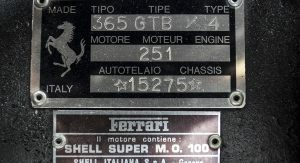 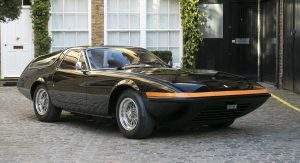 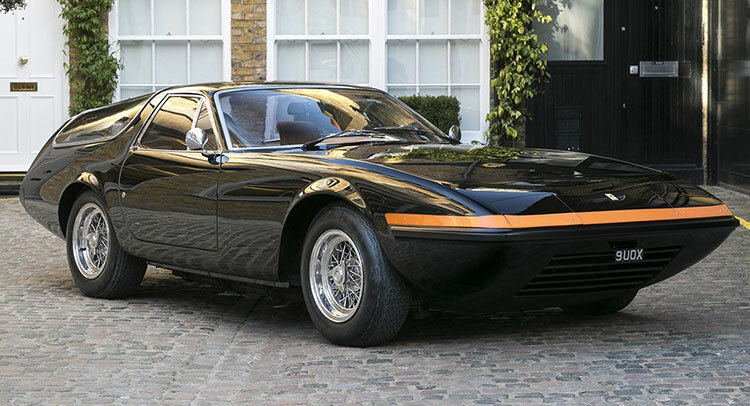 The Ferrari was modified by Panther Westwinds into a striking vehicle – after Chinetti’s design – which retained few original 365 GTB/4 parts. 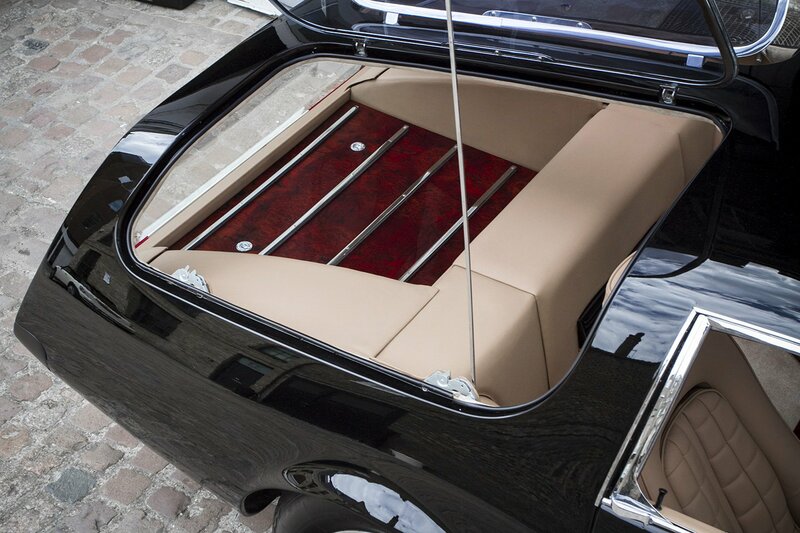 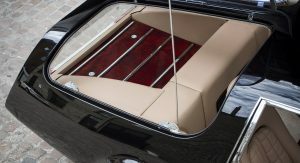 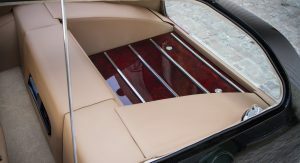 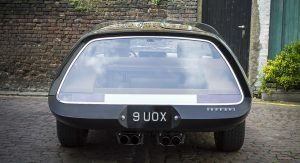 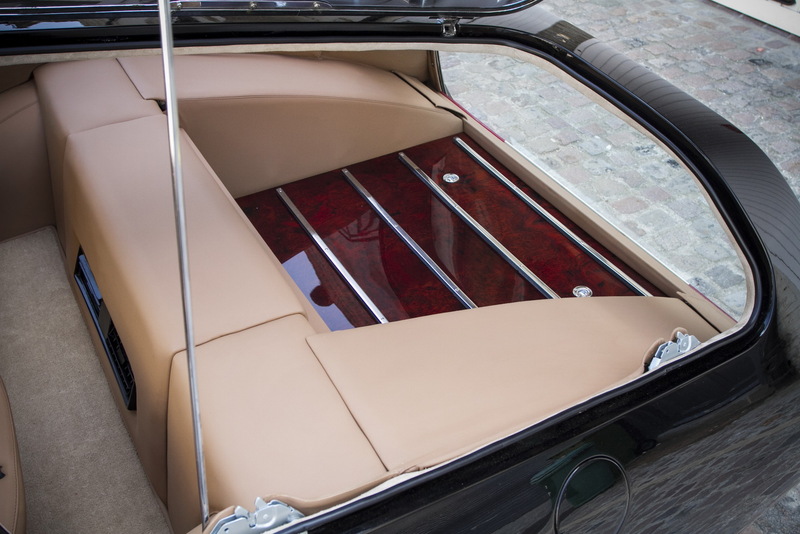 Moreover, unlike traditional shooting brakes, this Daytona estate avoided a “conventional” rear tailgate by using gullwing side windows for access to the cargo area. 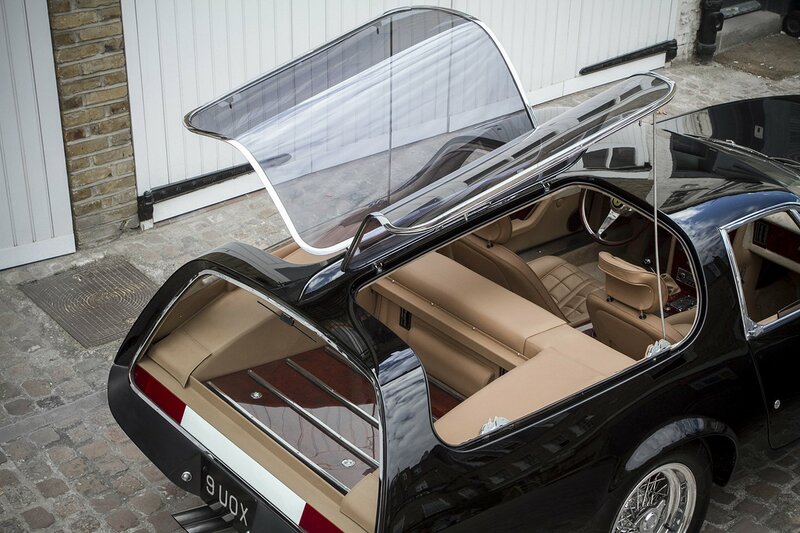 Oh, and its large, airy greenhouse is one of the signature style cues. 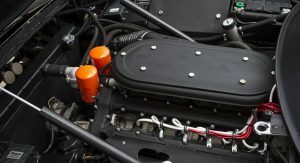 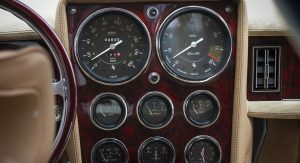 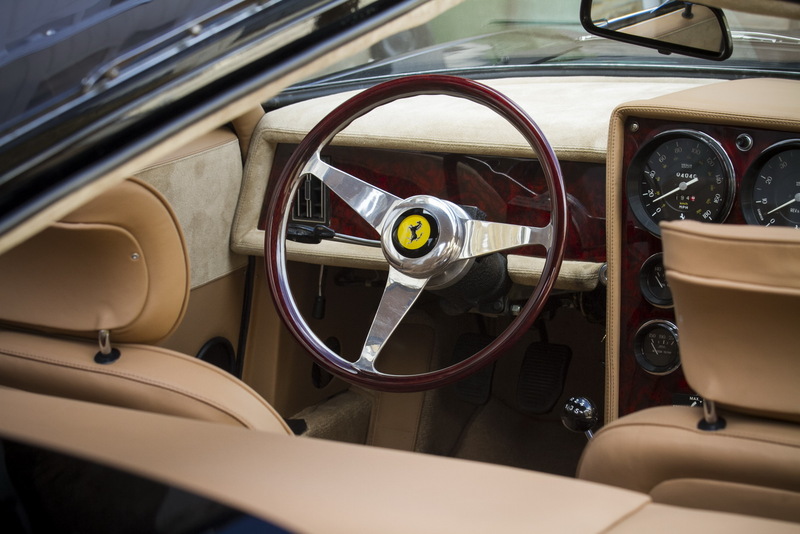 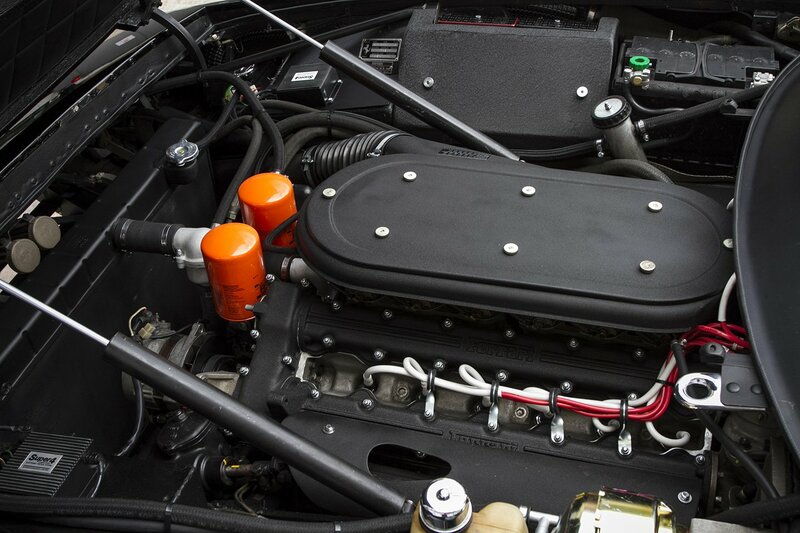 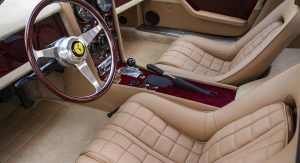 The Ferrari was recently acquired by Hexagon Classics, which commissioned a proper restoration by employing the very same artisan who built the car whilst working at Panther in period – thus ensuring the restoration’s authenticity. 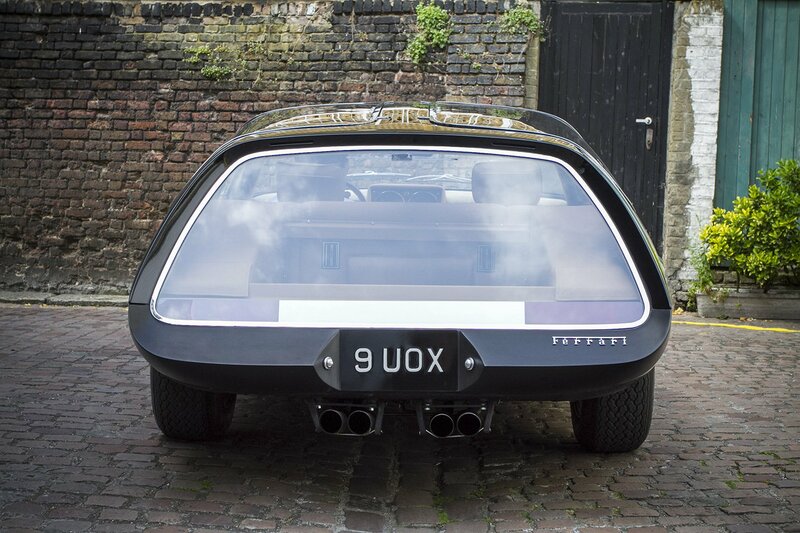 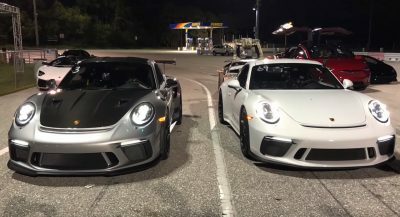 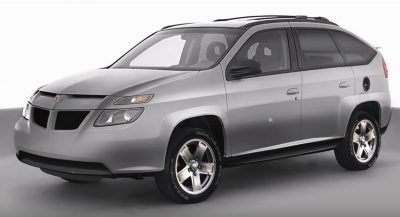 Mind you, the automobile is for sale, although the price has yet to be disclosed.